If you want to help your teen overcome their exam stress then you are certainly not alone. There are thousands of teens who go through exam stress every single year and this can cause serious problems for them, but there are a couple of ways that you can help to relieve this while also giving them the help and support they need along the way. Children and even young people who experience stress tend to worry a lot and they also feel very tense as well. They tend to get lots of headaches, stomach pains and they may not sleep well. Other signs that you need to look out for is that they may not enjoy activities that they normally would and they may have a complete loss of interest in food. because even though they feel as though it is helping, it is actually doing the opposite. Your teen may find that they have to study constantly and they may also feel as though they are under a lot of pressure to constantly get the grades. You have to make sure that they take a time-out now and again and you also have to make sure that they relax at the weekend as well. This can be hard to do if they don’t have any hobbies, so it helps to try and get them involved in something that they can enjoy and spend a lot of time on. Games such as https://www.finalfantasyxvapp.com are great for this because they are very engrossing and they are also very easy to get invested in. Your teen may even look forward to having a break from their study time, and they can even play it online with their friends as well. When you create your own study schedule, you’ll find that your teen can spend most of their time doing things that they actually enjoy and it stops them from over-revising as well. 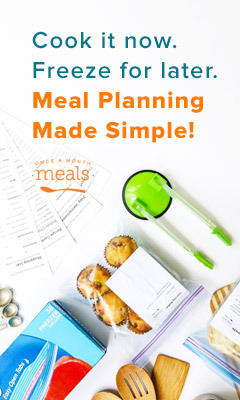 Of course, if you want to plan everything out then it helps to have the meal times planned out as well and this is a great way for you to make sure that they are eating properly and that they are getting the most out of their diet as well. If you want other ways to relieve exam stress then try and spend the time to sit and talk with them about what they are going through and if there is anything that you can do to help. You also need to make sure that you offer them support with their exams, and know that they are going through a difficult time.